I'm not a big Stout fan usually, but this one got me as I first tasted it directly at the brewery down in Tassie. It's not like Irish Stout's in bitterness but much more smooth with this unique bitter sweet after taste. 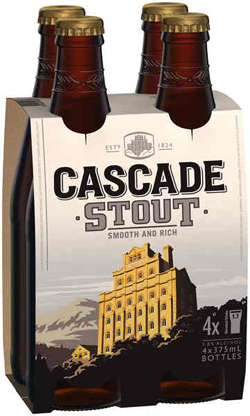 Definitely the best Cascade here on stock.